Page 2 and 3: Notice of Resolution - 2 - A.M. No. Page 4 and 5: Notice of Resolution - 4 - A.M. No. Page 6 and 7: Notice of Resolution - 6 - A.M. No. 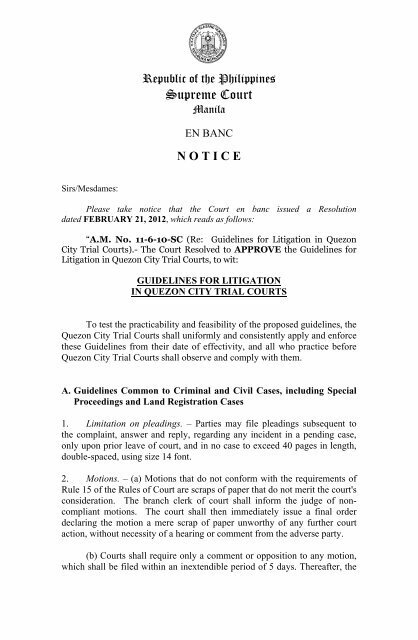 Page 8 and 9: Notice of Resolution - 8 - A.M. No.